Mostly clear and windy this evening then becoming cloudy after midnight. Low 59F. SSW winds at 20 to 30 mph, decreasing to 5 to 10 mph..
Mostly clear and windy this evening then becoming cloudy after midnight. Low 59F. SSW winds at 20 to 30 mph, decreasing to 5 to 10 mph. 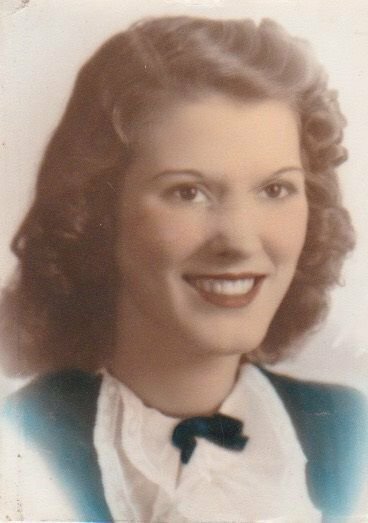 BENTON — Eva June Garrison, 96, longtime resident of Benton died at 12:15 a.m. Monday, Feb. 4, 2019, at her home in Benton. 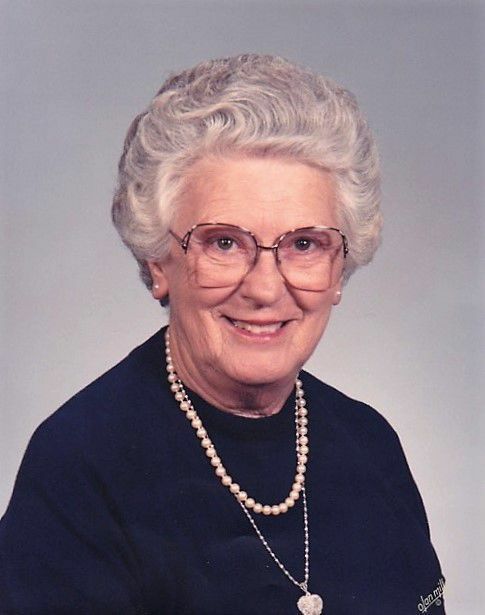 Beloved daughter of Pauline and Joseph Myers, Eva was born on June 1,1922, in Benton. After high school she moved to Detroit, Michigan, living and working with her Aunt Maude. After less than a year and missing her home town and family, Eva returned to Benton. There she met a high school classmate, now handsome Army Air Corps Pilot, Robert Garrison, and married him Dec. 16, 1945, in Benton. In 1946, after Robert's discharge from the Air Corps, the young couple with their daughter moved to Fort Lauderdale, Florida, where Robert returned to playing professional baseball, while Eva created the first of many homes for her family. In 1949, with Eva pregnant with their second daughter, the young family returned to Benton. The next two years Robert worked in the coal mines and built Eva their first real home where Eva nurtured her family. Robert was recalled to the Air Force in 1951. For the next 18 years Eva would create homes for her family in Selma, Alabama; Las Vegas, Nevada; Youngstown, Ohio; and Bunker Hill, Indiana where their son was born. The family was then stationed in Bitburg and Wurzburg Germany. After three years overseas their final assignment was in Kansas City, Kansas. In 1971, Eva and Robert with their son, retired to Benton where both were able to support their aging parents and also started the Garrison Christmas Tree Farm. Eva enjoyed being a housewife, a loving daughter, niece, wife, mother, grandmother and great-grandmother. Family was always her first priority. Eva was preceded in death by her husband of 72 years and her parents. She is survived by her three children, Rosemari Davis and husband, Bill, of McMinnville, Oregon, Roberta “Bobbi” Garrison Smith and husband, Richard, of Seattle, Washington, and Robert “Mike” Garrison of St. Louis; four granddaughters, Kris Simmons, Kim Kayfes, Ashley and Reilly Smith; and seven great-grandchildren; and beloved dog Jack. Arrangements have been entrusted to Pate Funeral Home, 301 S. Main St., Benton, IL. Visitation will be from 10 to 11 a.m. Saturday, March 2 at Pate Funeral Home. The Memorial Service will be at 11 a.m. Burial will follow services at Masonic and Odd Fellow Cemetery, Benton. Immediately following graveside services a luncheon will be hosted at the Benton Elks Lodge. Eva loved her pets and would be honored by memorials to the Second Chance Rescue of Franklin County or to her second love the Benton Public Library. Memorial contributions will be accepted at the funeral home.